The World Harp Congress, Inc. a private non-profit organization, was founded in 1981 and incorporated in 1982. It originated from the Harpweeks in The Netherlands, organized by Phia Berghout and Maria Korchinska, that first met in 1960. The WHC is held every three years around the world and seeks to promote the exchange of ideas, stimulate contact, and encourage the composition of new music for the harp. 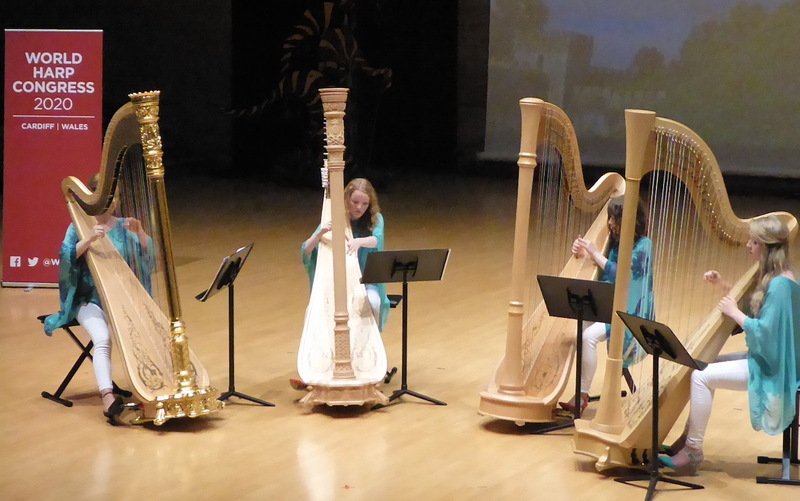 Concerts, workshops, seminars and exhibits concerning all aspects of harp musicology and performance are offered at these triennial sessions. Past Congresses have been held in Maastricht, The Netherlands (1983); Jerusalem, Israel (1985); Vienna, Austria (1987); Paris-Sèvres, France (1990); Copenhagen, Denmark (1993); Seattle-Tacoma, Washington USA (1996); Prague, The Czech Republic (1999); Geneva, Switzerland (2002); Dublin, Ireland (2005); Amsterdam, The Netherlands (2008); Vancouver, British Columbia, Canada (2011); Sydney, Australia (2014); and Hong Kong, China (2017). The next Congress will take place in Cardiff, Wales, UK in 2020 (www.whc2020.wales). The World Harp Congress has members representing over 50 countries.The Board of Directors welcomes all persons who are interested in the harp to join this international organization. Austrian harpist and long–time resident of Japan, Professor Josef Molnar passed away on 21st November 2018 in Tokyo. He was eighty-nine years old. The Japanese harp world is in unbearable sorrow in losing ‘The Father of the Harp in Japan’. 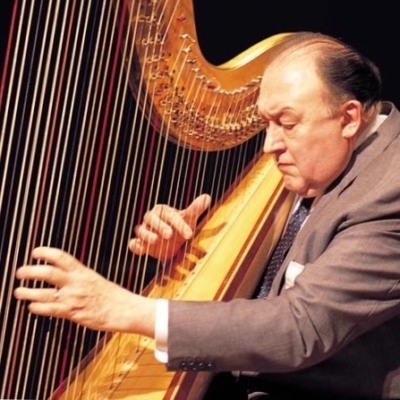 Professor Molnar was a long-time member of the Board of Directors and Corporation of the World Harp Congress and Chairman of the 3rd World Harp Congress in Vienna in 1987. He also taught many of the Japanese board members and members of the WHC. Professor Molnar performed as a harpist and a vocalist throughout his career in Vienna. He performed with the Vienna Boys Choir, the University of Music and Performing Arts Vienna and the Vienna Philharmonic. He moved to Japan in 1952 on the invitation of the NHK Symphony Orchestra. Since then, he devoted almost all of his life to promote and improve the harp world in Japan. He established harp departments in some of the top music schools, and trained hundreds of talented harpists, as well as performing widely as a marvelous soloist. He was a founder and president of the Nippon (Japan) Harp Society, founder and chairman of the Karuizawa Music Summer School, the Soka International Harp Festival and the Nippon Harp Competition. He was decorated with the Highest Medal of Cultural and Art Honor by the Austrian Government and with the Orders of the Sacred Treasure by the Japanese Emperor for his contribution to Japan-Austria ties through music and music education. His funeral will be held by the Nippon Harp Society on 28thand 29thNovember at Kirigaya-Saijo in Tokyo.